Add dimension to a plain wall in your home using this set of Stratton Burst Mirrors. 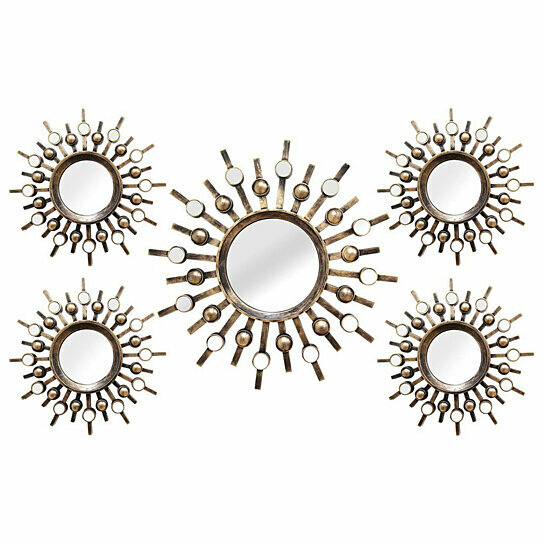 These five sunburst-shaped mirrors are framed in distressed gold and bronze metal. Hang them alongside one another to create a striking visual. Care instructions: Wipe clean with damp cloth.